Chernobyl Children’s Lifeline, which helps children affected by the Chernobyl disaster, has benefitted from the support of G F Tomlinson. 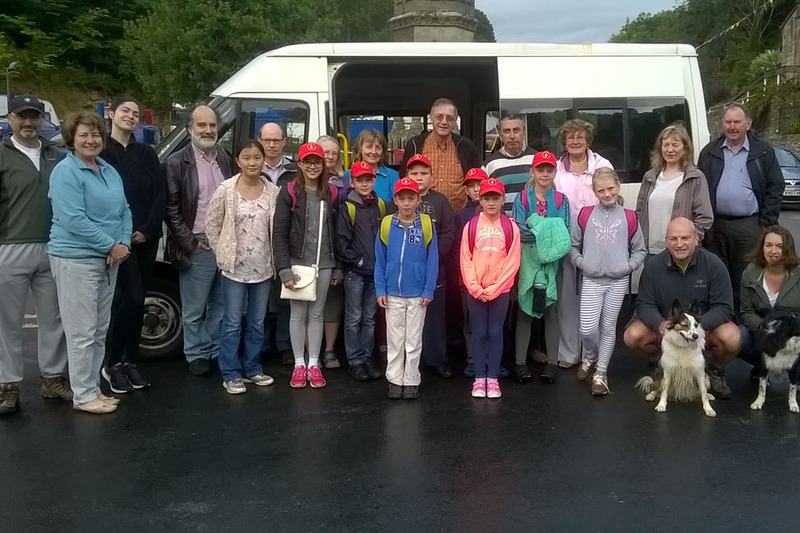 G F Tomlinson is the only company throughout the county to support the Bonsall and Derbyshire Dales Link (local group) of Chernobyl Children’s Lifeline every year, by providing a transport vehicle and driver free of charge. With around 60 active links across the country, the charity was set up in 1991 with the aim to help children from Belarus and, in recent years, Ukraine affected by the Chernobyl disaster by providing health recuperation holidays in Great Britain where children can experience clean air, water, food and receive health and social benefits. Operations manager at G F Tomlinson, Terry Radford, volunteers his time to drive the children to and from the airport every year. Terry said: “I have been helping the Chernobyl Children’s Lifeline charity for more than 15 years now and G F Tomlinson has always been willing to support me with this cause by providing free fuel and a mini bus to get the children to and from the airport. “The work that the charity does is now more important than ever. All of the children have been affected in some way by the Chernobyl disaster 32 years ago and all suffer from health issues due to the radiation still present in their environment and food chain. As a result, life expectancy is shorter than in other European countries. “The charity brings groups of children to Britain for a four-week health respite, where the children are able to enjoy clean water and food, take part in a programme of activities and outings. The children also benefit from eye checks and dentist appointments and receive free dental treatment and glasses, where required. Chairman of the Bonsall & Derbyshire Dales Link for Chernobyl Children’s Lifeline, Chris Broome, said: “Our main focus is to ensure we are bringing a group of children from Belarus or Ukraine to Derbyshire each year and the support of Terry and G F Tomlinson has helped to ensure that we have the funds to pay for each child. “The cost of helping a child can range between £700 and £750 and these expenses are increasing every year. Therefore, we are always striving for ways to keep costs down. “The provision of G F Tomlinson’s minibus has helped the charity save thousands of pounds over the past 15 years. As a result, we are able to use the money that would be used on transport to pay for other necessities like health insurance, visas, activities and new clothes and shoes.